Hellen, who is 19 years old and from Eritrea, is currently a refugee in the Netherlands. She plans to pursue college this year and major in international studies. Hellen chose to express her feelings by including an excerpt from a poem called “Home” by British-Somali poet Warsan Shire. Gilze Rijen, the Netherlands, November 2017. Honored to be part of the Open Society Foundation 'Moving Walls 25: Another Way Home' Exhibition. The exhibition is opened free of charge to the public at the Open Society Foundations in New York from September 26, 2018 to July 19, 2019. Monday–Friday, 10 a.m.–4 p.m., except for U.S. holidays. Free of charge. No reservations necessary. For groups of 10 or more, please make an appointment by calling +1-212-547-6909. 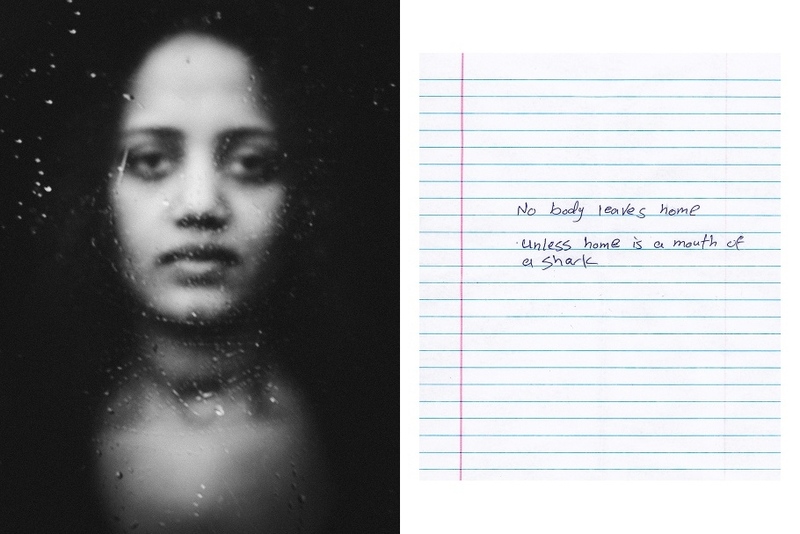 Thana Faroq’s The Passport combines portraits of refugees living in Europe, with images and words captured in refugee shelters and the artist’s own personal journal to show the interior lives of migrants in transition.